Today was a day for weird finds. 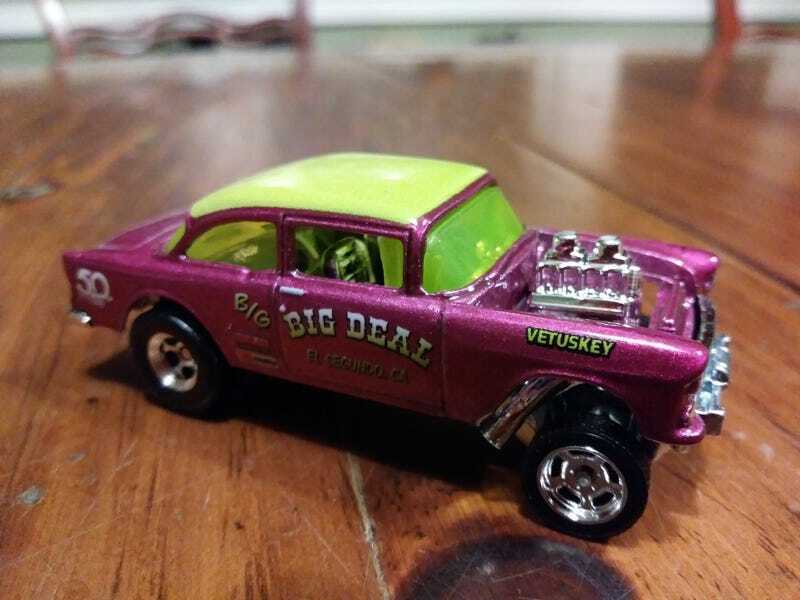 At the local target, the only 50th anniversary cars were 6 Gulf livery Fairlanes, and this Big Deal ‘55 Gasser. Apparently I have stepped into an alternate dimension where this is the second-least wanted car in the series.